A semi-sequel to the visionary Anti-Twitter, Induced Coma once again features Harold Jaffe writing to the Nth power, taking as his subject no less than the benighted globe. Including published mainstream narratives and “news” articles from the US and abroad, the collection covers an extraordinary range of subjects—activist art, global warming, revolution, the entertainment industry, and the freakishly banal happenings of our day-to-day lives—all of which the author deconstructs to expose their ideological subtexts in uncanny ways. Satirical, critical, tragic and ruminative, Jaffe works every register masterfully. Induced Coma is a singular tour de force composed by one of the most innovative writers of our generation. 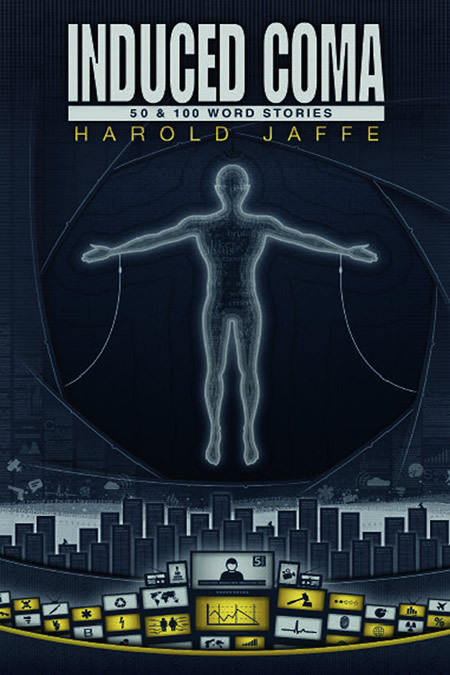 HAROLD JAFFE is the author of nearly 30 volumes of fiction, novels, docufiction and essays. His books have been translated into 15 languages and he has received many accolades, among them two NEA grants, two Fulbright fellowships and three Pushcart Prizes. Jaffe teaches literature at San Diego State University and is editor-in-chief of Fiction International.